Riding around in a convertible with the top down is a great way to enjoy the nice weather. 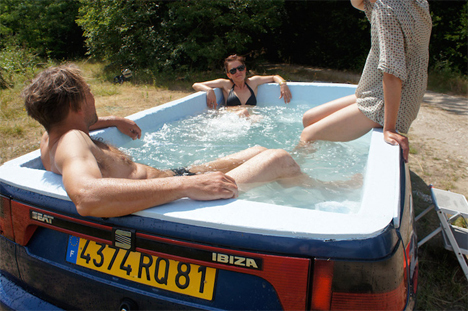 French artist Benedetto Bufalino takes the concept to a whole new level with the Seat Ibiza hot tub. 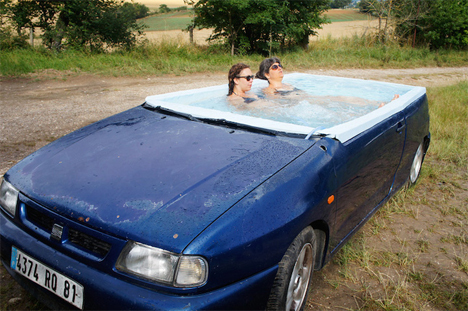 Made from a formerly-functioning Seat Ibiza sedan, the car has been modified to create a jacuzzi tub. The roof, windshield, and windows have all been removed to open up the vehicle and make it into more of a container. The seats, steering wheel, and all other controls were also removed and a watertight liner was inserted to complete the transformation. Bubbles of warm water swirl around to remove your stress while you soak up the sun. 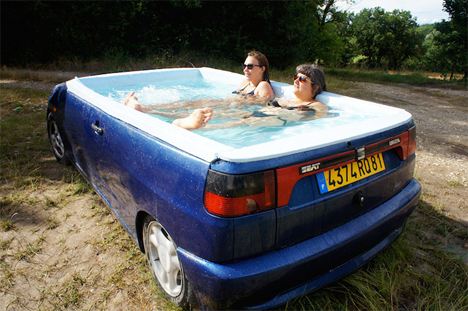 Like any other outdoor hot tub, this one looks like it would be an amazing way to spend a few luxurious hours. 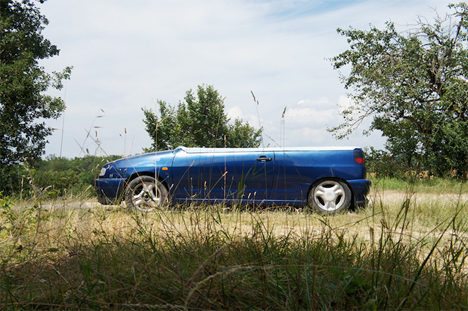 As a car, the Ibiza probably held four or five people. 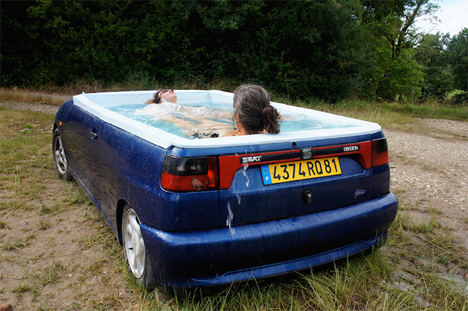 As a hot tub, you could probably squeeze in that many – but having it all to yourself would be even nicer.